The leading online blog in the fields of corporate governance and financial regulation. 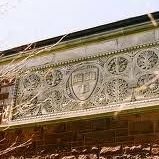 The Harvard Law School Forum on Corporate Governance and Financial Regulation, established in 2006, is the leading online blog in the areas of corporate governance and financial regulation. The Forum features daily articles, commentaries and speeches by prominent scholars, public officials and practitioners on a variety of topics in the areas of corporate governance and financial regulation. The Forum also provides updates on legislative and regulatory developments, as well as recent publications and working papers in these areas. Since its inception, the Forum has featured more than 4,500 posts by more than 3,500 contributors. 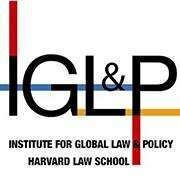 The Forum is co-sponsored by the Harvard Law School Program on Corporate Governance and the Harvard Law School Program on Institutional Investors. The Forum was founded by Lucian Bebchuk and is co-edited by Scott Hirst, Kobi Kastiel, Yaron Nili, Greg Shill, Chris Small, and Aluma Zernik.